Cornerstone Research, a litigation consultancy firm, has released a report of ongoing class action lawsuits no the subject of securities in the US. It finds that cryptocurrency ventures make up only a tiny fraction of all complaints. Cornerstone Research is based in San Francisco and has eight offices in the US and the UK. 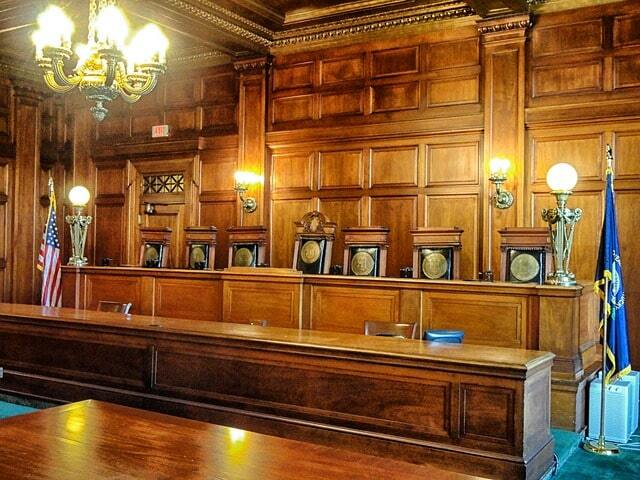 It uses internal and external experts to provide testimony on finance and economics to entities engaged in litigation. The report says that over the last 24 months, 750 lawsuits have been filed, which is the most since 1995. 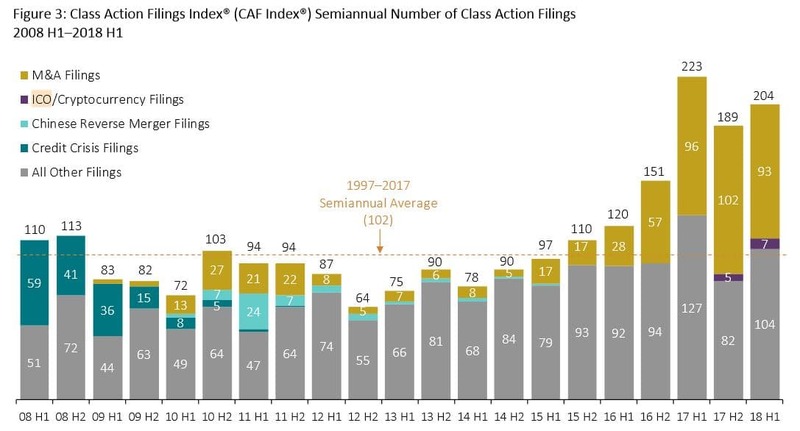 It also reports that filings against American companies are on the decline, while those against Asian and European companies were more than double the average of the last ten years. Lawsuits involving initial coin offerings numbered five in late 2017 and seven in 2018 so far. For comparison, 111 suits have been filed covering all categories in 2018 so far. Are initial coin offerings securities? Securities are financial assets based on a share of a company. Exact definitions vary from country to country, but as a general rule a security is proof of ownership or debt that has monetary value and can be traded. There has been much debate in the US over whether tokens sold in an ICO qualify as securities or not. This is relevant because entities must register with the authorities in order to sell securities legally. The relevant authority is the Securities and Exchange Commission, which has been active in clamping down on ICOs. For example, in December 2017 the SEC ordered a California-based company called Munchee to halt its fundraising, saying that its tokens fulfilled the definition of securities because the company had advertised that purchasing tokens would generate a return. No penalty was imposed because the firm halted its activities and returned money to investors. In another case, the SEC brought criminal charges against one Dominic Lacroix and his partner Sabrina Paradis-Royer after their ICO, for a project called PlexCoin, raised $15 million. This was because they had claimed that investors could expect profits of 1,354 percent within a month. More recently, the Massachusetts branch of the securities authority halted the ICOs of five cryptocurrency companies in March 2018 because they had not registered as securities. Cryptocurrency payments giant Ripple (market capitalisation $18.3 billion) is currently facing two lawsuits which are focused on exactly this point. The first was filed in May by an investor called Ryan Coffey who lost $551 when he purchased XRP tokens and then sold them on. The suit argues that XRP tokens “have all the traditional hallmarks of a security” because they cost money, because investors “reasonably expected” to profit from ownership of them because of promotional efforts on the part of Ripple, and because the profit was conditional of Ripple’s management decisions. A similar case was filed by a different plaintiff in July. At a Senate hearing in February 2018, SEC Chairman Jay Clayton said that ICOs should be regulated as securities, “end of story”, and the SEC sent out tens of subpoenas the following month. However at a more recent government meeting we saw indications of a more pragmatic approach developing. Indeed, in June the SEC decided that Ethereum (market capitalisation $48.3 billion) is not security. Not that Ethereum and Ripple are in any way similar, but it does show that the authorities in that country are beginning to be more discerning when deciding how to define cryptocurrencies.